Jr NTR backed off from campaigning for his sister Suhasini who contested from Kukatpally constituency in Telangana elections. It is said to be a conscious decision as Tarak knew the fate of TDP in Telangana. Apparently, he don’t want to get into bad books of KCR and TRS. 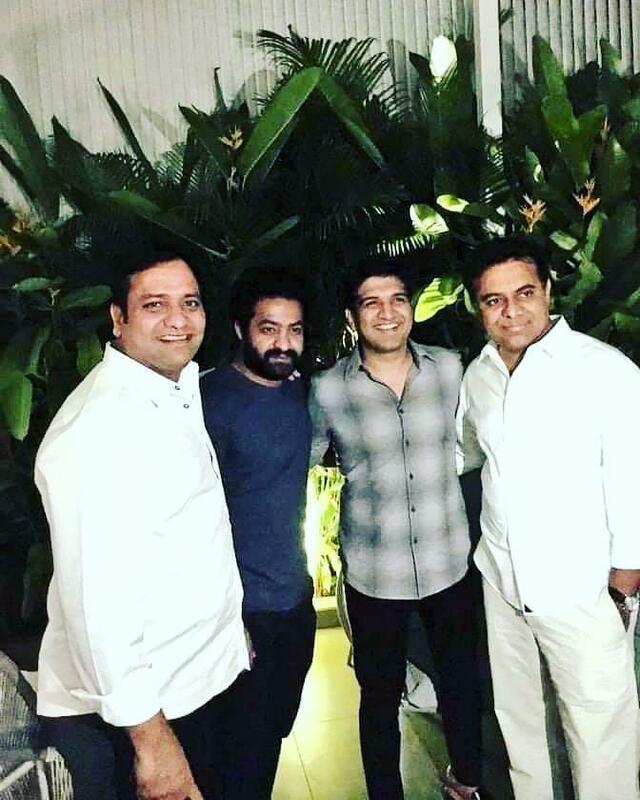 Recently, NTR was spotted with KTR at a party. Both were seen bonding together. The pic went viral on internet. NTR also congratulated KTR on poll victory and being elected as new TRS working president. Meanwhile, Tarak is busy with Rajamouli’s RRR co-starring Ram Charan. Previous articleఅల్లు అర్జున్ అన్న‌య్య నిర్మాత అవుతున్నాడుగా..